What do Aristotle, backgammon and World of Warcraft have in common? Why are MMORPGs so successful? And what happens when we combine games and social media? Games have existed since ancient times. 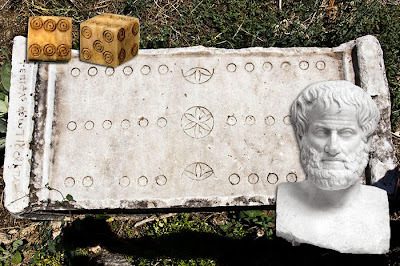 Some studies find the early origins of games in a small village called Shahr-e-Sookhteh (Iran), built in 3200 BC, where an old backgammon set, some dice and other game-related objects were found. What’s interesting about it is that researchers found that even in the very beginning, games were a social thing: backgammon was played in pairs, playing dice was a group thing, and pretty much all the ancient games involved some kind of social aspect. And there are many more examples. Just think of the Greek Olympics, the Roman Circus, or even the jousting of the Middle Ages; all of them were social games. It’s at that point when you realise that social media games are nothing new, just a more technologically advanced version of something that has been there all along. Quite some years ago, the famous philosopher Aristotle said that we were the only social animals to be found, because we don’t just meet up with others for protection or feeding purposes, as many animals do, but because we feel like doing so. And that has changed everything, even games. Have you checked out the most profitable game in the last few days? Do you know which games accumulate the most hours played per year? Any idea what the most successful and downloaded apps were of 2012? If you were thinking about social games, you were spot on. 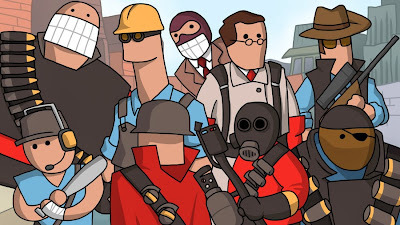 As it turns out, games such as World of Warcraft (WoW), League of Legends (LoL) or Team Fortress 2 (Tf2) were not only some of the most played games, but also some of the most profitable. And if we add Candy Crush, Hay Day or Clash of Clans – some of the most downloaded apps of 2012 – we immediately realise that Aristotle was right all along. Games were made to be social, and a very important milestone was hit when social media platforms implemented games within them. So what happened a few years ago when games came across the social media? Well, as many social media experts have said, it all went mad. All of a sudden millions of people started playing on a daily basis with their friends, and the time spent on those platforms skyrocketed. 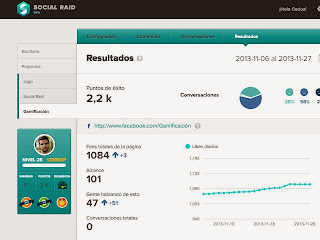 At the same time, and some years later, the trend of gamification appeared and the phenomena of social gamification – as gameful design applied within social media platforms – started with an increasing number of these type of experiences every single year. So are there any social gamification examples out there already? And is there any difference between trying to get your public more engaged and making your social media teams perform better? Social Media Gamification is a very new thing, and there’s still a long way to go, but up until now, we can see some great beta versions that are worth reviewing. The first one is CaptainUp, a plug-and-play platform that allows you to engage the readers of your blog and social media channels; the second is Social Raid, a web based platform that turns social media teams into a group of raiders in search of performing their tasks better while having lots of fun. CaptainUp is a very simple and fun concept: Your blog readers are not fully engaged with your blog, so through a simple PBL (points, badges and leaderboards) system, CaptainUp turns your blog into a gamelike experience where you can reward users, see which are the top players and make them try to unlock fun achievements. The “game” starts off when the blogger signs up at captainup.com, and once that’s done, you have to adapt the system to your preferences, changing the points system if you feel like, modifying the badges’ storyline and text and customising the images shown. Whenever the system has been finally installed (after a little bit of coding on blogger, or a simple copy and paste with other blog platforms) you start receiving lots of interesting feedback and it’s up to you how the experience plays out on your site. Finally, there are new gamification mechanics and more improvements coming out to the platform soon, so don’t miss out on them. 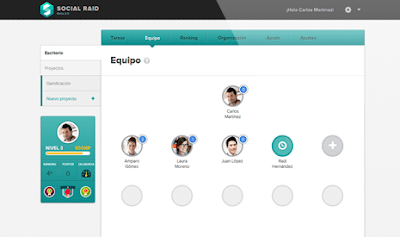 Social Raid, a platform developed by the Spanish start-up Play Jugo, is all about turning community management tasks into an epic adventure. In Social Raid, a team of several raiders (community managers) work alongside their captain (social media manager) to improve their performance and develop a more impactful communication strategy for the accounts that they manage on Facebook and Twitter. It’s essentially a SaaS platform where communication agencies, social media teams or community managers can publish, edit, and track the results of what they are doing while having fun. Besides, you can manage several social media accounts within the platform, making it easier for people who manage multiple social channels. 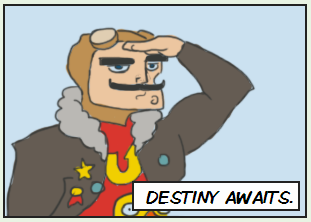 Right now the platform features a rich PBL system with an adventure theme, along with other gamification mechanics. More features are on the way over the next few months, such as power-ups, virtual rewards and a virtual economy. So stay tuned. So games have never stopped being social, and in the next few years, more and more of them will embrace multiplayer modes and social mechanics. Meanwhile, the number of social gamification experiences will keep on growing until social mechanics become a new norm in game design.